Marquee Uptown is a beautiful apartment community with just 98 units, creating an intimate setting where you are more than just a number among the masses. Marquee Uptown offers several distinctive floor plans, ranging from garden apartments to spacious townhomes. 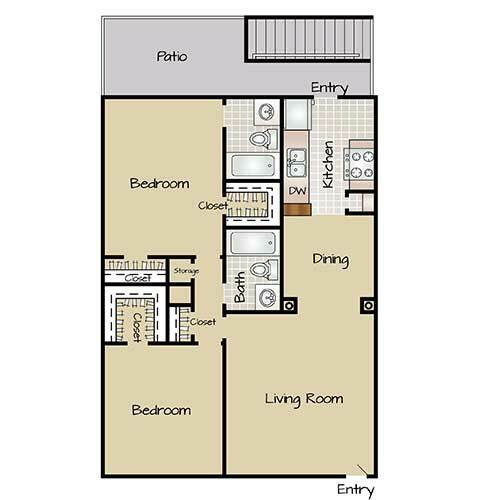 Floor plans range in price from $1,150 to $1,650. 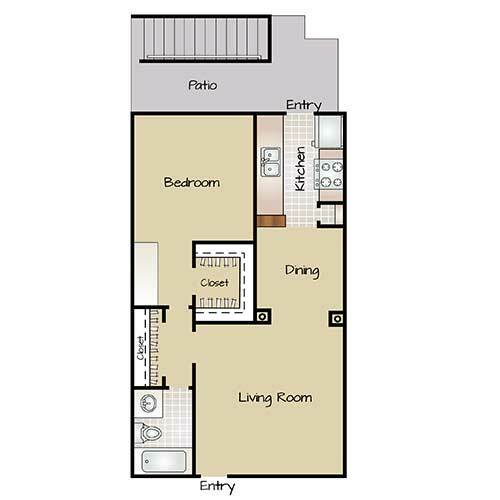 The Renoir is a one-bedroom, one-bath apartment with an open living and dining area, a galley-style kitchen, and a large bedroom with en suite bathroom. The Matisse is a one-bedroom, one-bath townhome. The lower level contains the large living room, dining room, and galley-style kitchen. 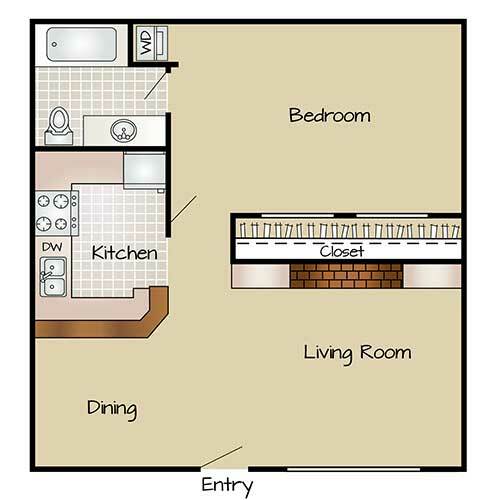 The upper level contains the bedroom with two large closets, washer/dryer, and the bathroom. The Monet is a two-bedroom, 1.5-bath townhome. 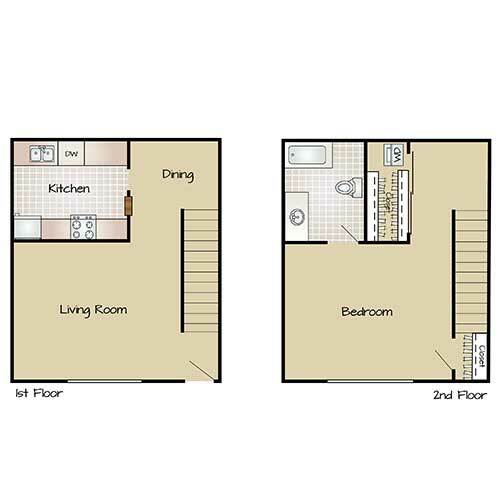 The lower level contains an open living area with separate dining room, a large L-shaped kitchen, a linen closet, and the half bath. The upper level contains the master bedroom with two closets, a second bedroom, and the full bathroom. 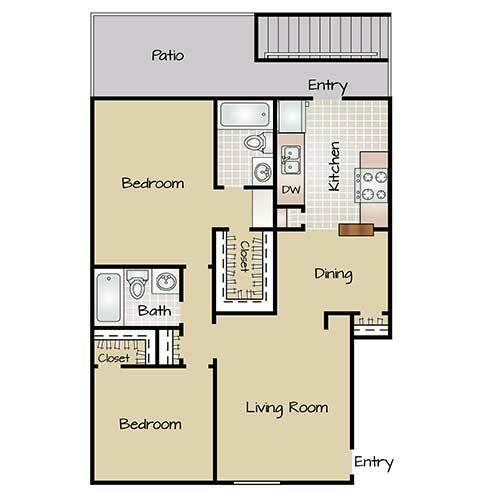 At 886 square feet, the Picasso is a spacious one-bedroom, one-bath apartment. 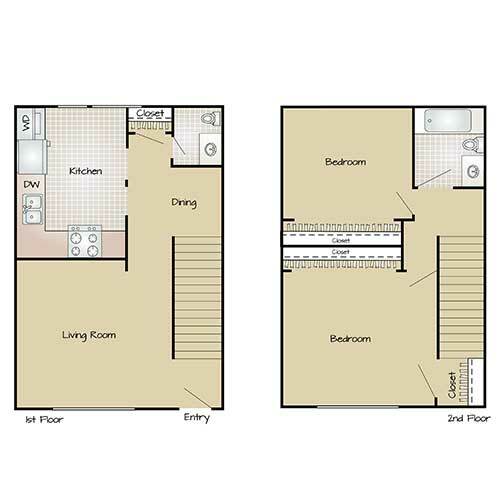 This floor plan features a large patio with back door located off the galley-style kitchen. The main entryway leads into the living room. There’s an oversize linen closet in the hallway. The bedroom includes a spacious walk-in closet. The Chagall is a two-bedroom, two-bath apartment with 1,040 square feet of living space. This floor plan features a large back patio with kitchen entry, an open living area with separate dining room, and a large master suite with private bathroom and walk-in closet. The guest bedroom also includes a walk-in closet and is close to the guest bathroom. 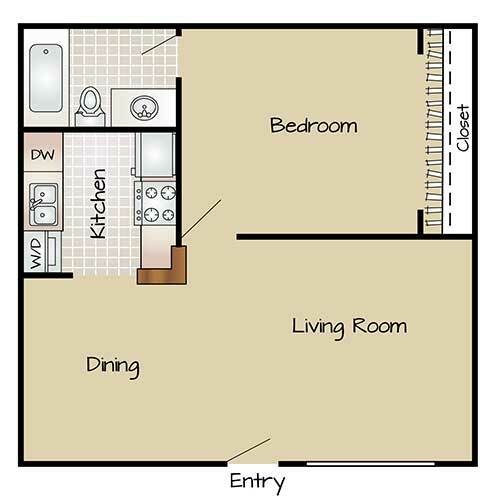 The Van Gogh is a two-bedroom, two-bath floor plan with 1,160 square feet of living space. This apartment has a large living room, separate dining room, and an eat-in kitchen with back door to the large patio. The master bedroom includes a walk-in closet and en suite bath.